Sadly, Philadelphia finds itself at the top of some not-so-great lists: most overweight major city, most difficult-to-imitate dialect, etc. But we're also number one when it comes to having lots of cool, old stuff everywhere, including bars -- like these five fine drinking establishments (and one honorable mention) where, instead of making bad decisions, you're taking a trip through our city's alcohol-soaked history, and where you just might meet a Ben Franklin impersonator or two. McNally’s opened as a pit stop for travelers/car operators on the Route 23 trolly. Today, the sandwiches are still delicious, but you can actually stay a while and enjoy the bar. 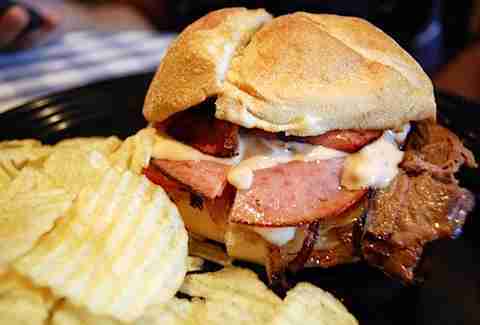 Fun Fact: McNally’s gigantic signature steak-and-grilled-salami sandwich, the Schmitter, is available at Citizens Bank Park and Lincoln Financial Field, and has even been served at Super Bowls in Jacksonville and New York. This place is so old that women once had to use a separate door, and stay in one section of the bar. Today it’s a cozy -- and coed -- Logan Square staple. Fun Fact: During the Prohibition, the place stayed open as a “barber’s shop”. 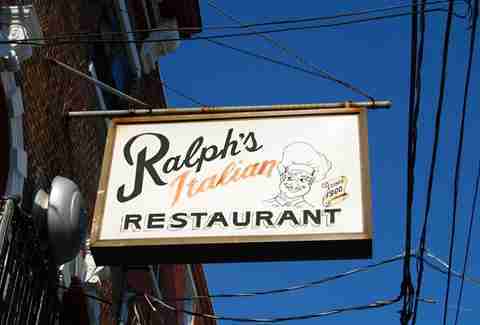 Established by an Italian family fresh off Ellis Island, Ralph’s is the oldest Italian restaurant in America. 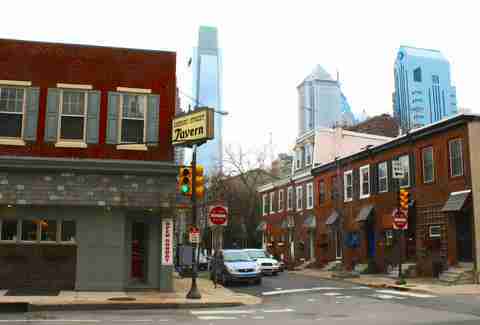 Fun Fact: Theodore Roosevelt was one of the first, but hardly the only, big-name guests to eat at Ralph’s during a visit to Philly. 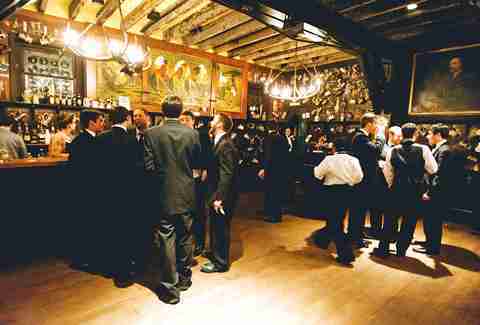 Owned by UPenn’s musical comedy troupe of the same name, the former stable/church/carriage house, and current historic landmark, has a seriously old-school hunting lodge-inspired interior, and is even available for parties. Fun Fact: During the mid-20th century, the troupe’s songs were kinda a big deal -- even Frank Sinatra did a cover of one. 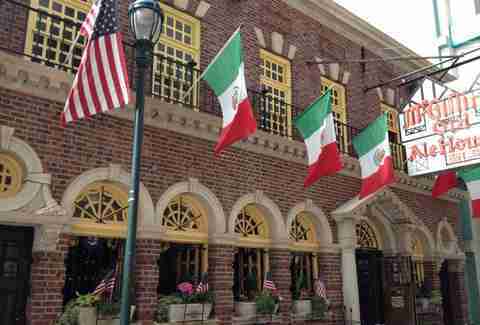 The city’s oldest, continuously operating bar -- one of the oldest in the US -- was opened the year Lincoln was elected, and has been serving Lincoln's least-favorite thing, shots, ever since. Fun Fact: Robin Williams, Will Ferrell, the geniuses behind Drunk History, and a slew of famous names have swilled spirits here, and why not? It's one of America's best Irish pubs, after all. 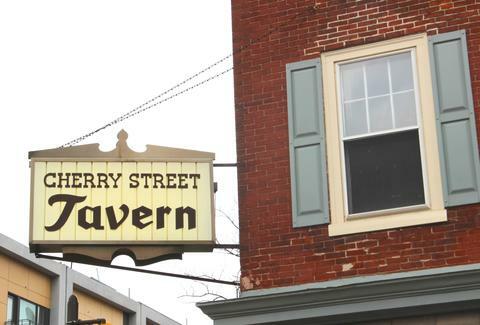 Commissioned by the likes of John Penn and other ye olde Philebrities, this tavern was opened before there was a United States in 1773, but hit tough times in 1834 when a fire destroyed half the space, leading to full-on demolition 20 years later. Today, it's a re-imagined, and very tourist-friendly, 18th century-style saloon staffed by people in period costume. 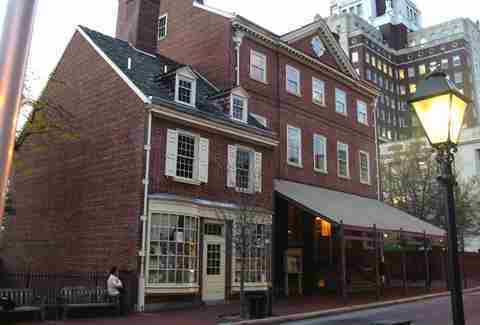 Fun Fact: City Tavern was the cool hangout for the First Continental Congress, and hosted the first Fourth of July anniversary party in 1777.